BHUBANESWAR: The Defence Research and Development Organisation (DRDO) on Wednesday successfully test-fired an anti-tank weapon having a strike range of 5 km from a next-gen tank at a defence test facility off Odisha coast. Defence sources said the ammunition, fired from main battle tank (MBT) Arjun Mk-II at the firing point-II of the Proof and Experimental Establishment (PXE) at Chandipur during noon, hit the target as expected. “The high explosive anti-tank weapon was fired from the indigenously developed Arjun tank in salvo mode against a decommissioned tank. In this complicated exercise, the ammunition successfully hit the tank,” said a defence official from New Delhi. The aim and objective of the test was to capture data generated during the trial and analyse it whether the weapon had that required effect on the target. Besides gauging the efficiency of the advanced Arjun tank which is a pride of DRDO, the test also confirmed the firepower of the ammunition. “Similar trials also have been planned in coming days. Though open firing from Arjun tank has been conducted in the Pokhran range of Rajasthan several times, this time an instrumented tank was targeted during the trial,” the official said. The Arjun is a third generation main battle tank developed by DRDO. It features a 120 mm main rifled gun with indigenously developed armour-piercing fin-stabilised discarding-sabot ammunition, one PKT 7.62 mm coaxial machine gun and an NSVT 12.7 mm machine gun. The tank is powered by a single MTU multi-fuel diesel engine rated at 1,400 hp and can achieve a maximum speed of 67 km/h and a cross-country speed of 40 km/h. The tank has proved its worth under various circumstances. 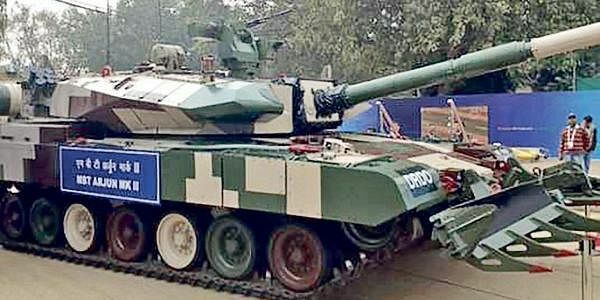 In 2015, it had received global accolades with the Chinese military officials praising the tank which suits Indian conditions. Arjun was commissioned in the Army in 2004 while its Mk-II version has undergone design changes for better firepower.